We pack up our gear at the Penong caravan park and it’s only a short drive to Ceduna which is the official end of the Nullarbor stretch. 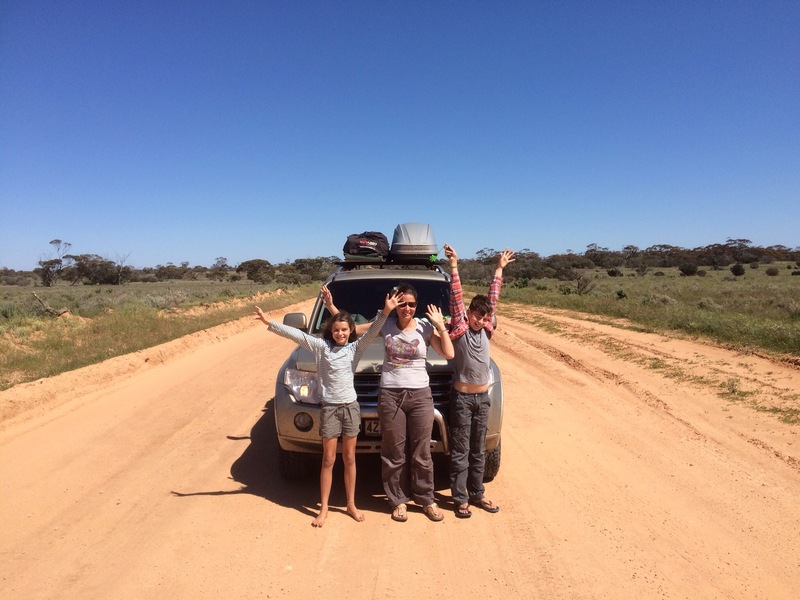 Our plan is to drive onto Port Augusta and stay the night there, but the woman at the Ceduna Visitor centre tells us about an off- road ‘short cut’ which would allow us to skip Port Augusta and get to Coober Pedy a day early. We decide to go for it. This day ends up being a 662km drive and 300km of it was dirt. It was nice to get off the tarmac and take in the scenery, though some of the road was teeth-rattling corrugated. 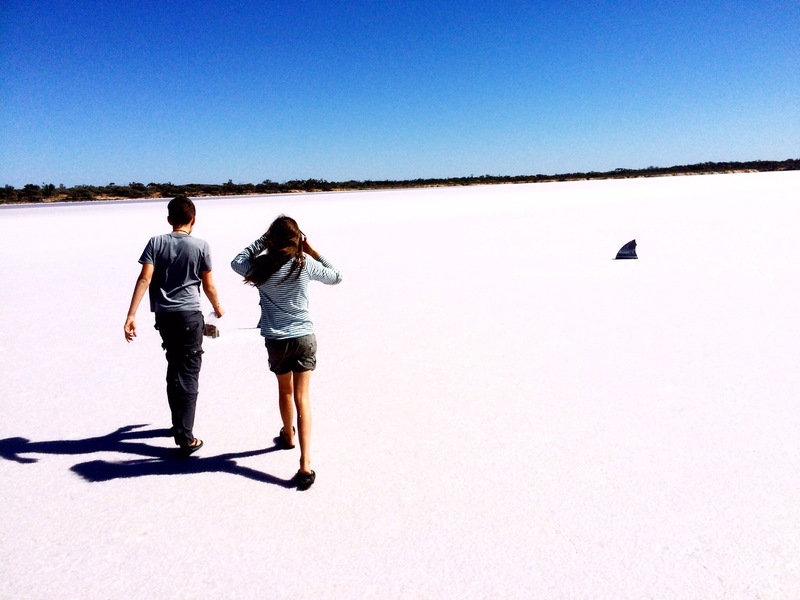 Along this stretch of road was a number of dried up salt lakes. 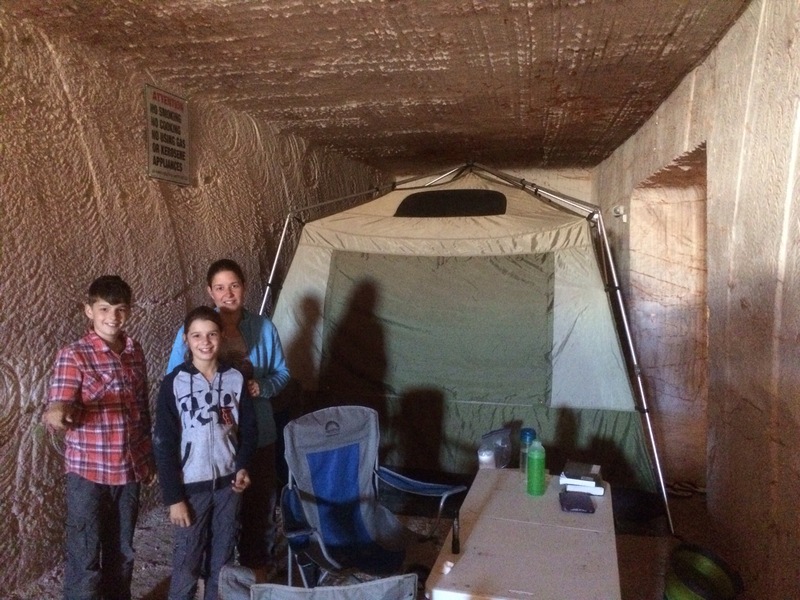 We get to Coober Pedy and we decide to take the option of camping underground. It’s very cool to experience it. It’s very echo-y down there and at night you can hear the snores of other campers around. The tunnel has a number of shafts to allow for air ventilation and they create a spot-light effect. Like a moth to a flame, the kids see this as an opportunity to get down and boogy. 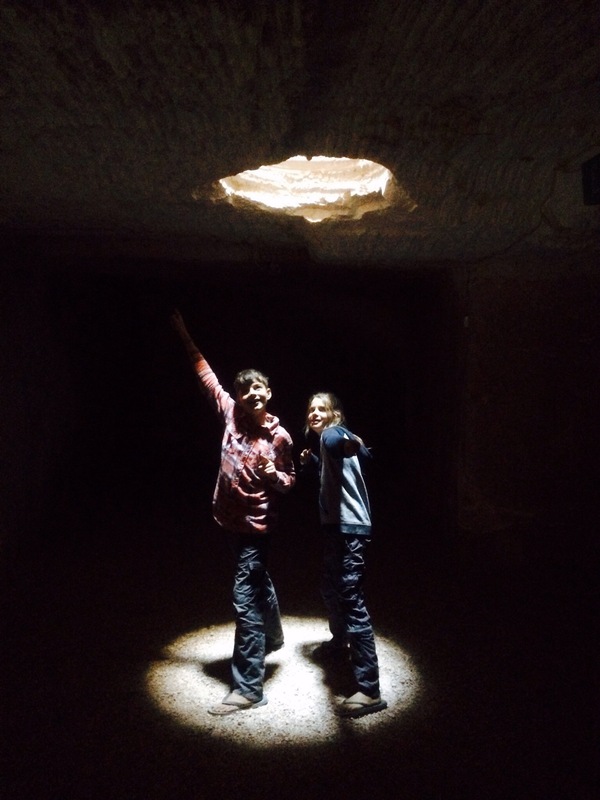 The reason Coober Pedy exists is because of the opal mining. 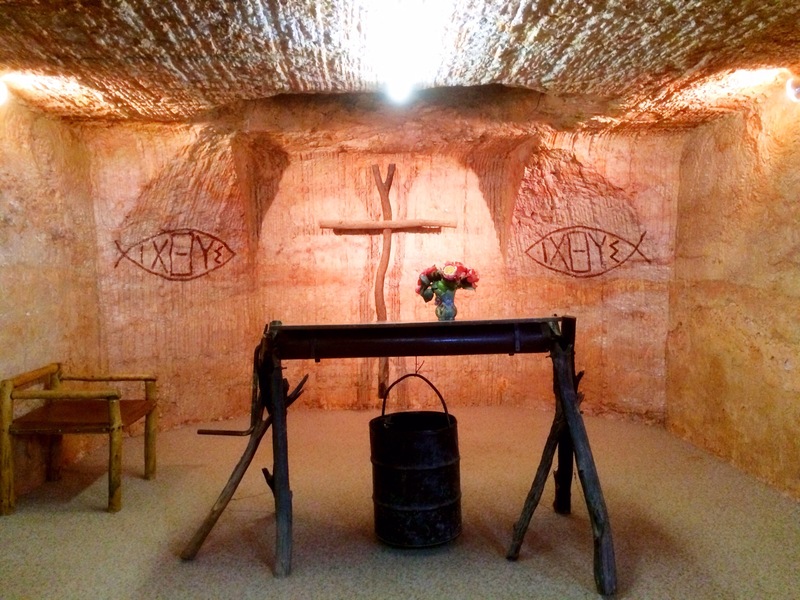 Coober Pedy means in aboriginal ‘white man’s borrows’ and we learn that 80% of the population lives underground. The next day we visit some of the underground church buildings in town. This is the Anglican one, called the ‘catacombs church’. 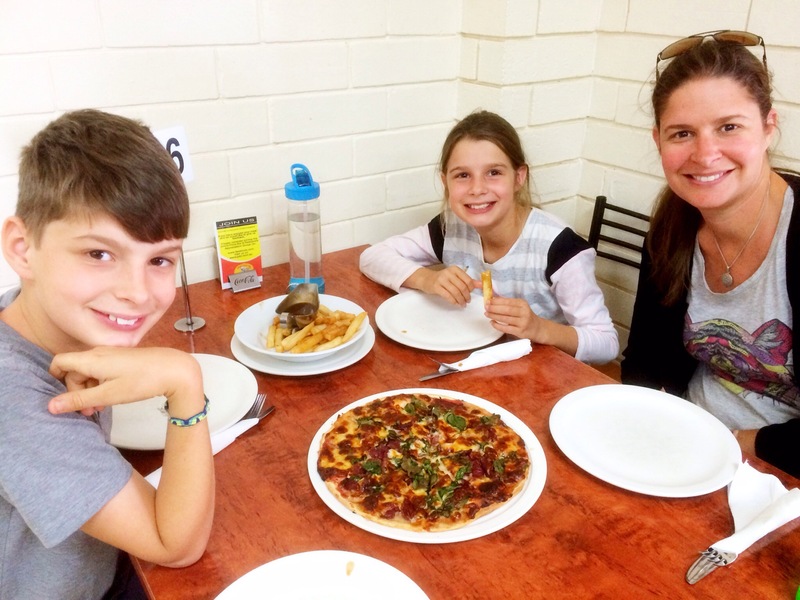 We have lunch at John’s Pizza and we can’t resist having their ‘Coat of Arms’ pizza which is emu and kangaroo. Kirsty and I enjoy it but the kids prefer to stick to their chips and gravy. Afterwards we have a mine tour and learn all about how Opal mining and underground living works. 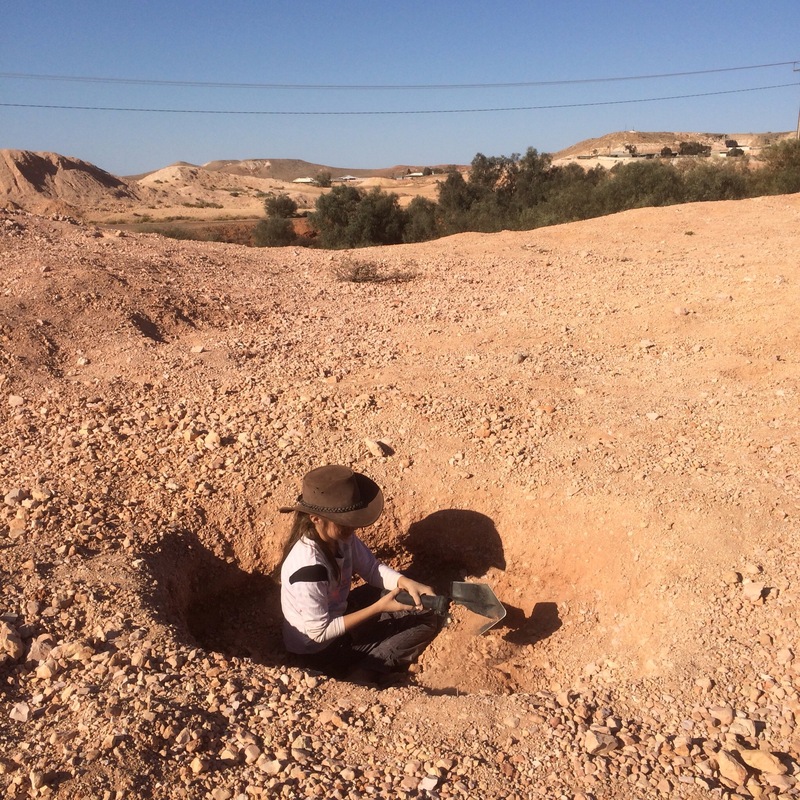 Afterwards we do some ‘noodling’ which is sifting through the the left-over mine heaps for an opal. Nothing is found today. The flies are bad in Coober Pedy. There’s nothing quite like the delightful experience of a fly landing in your mouth and then having to spit it out. 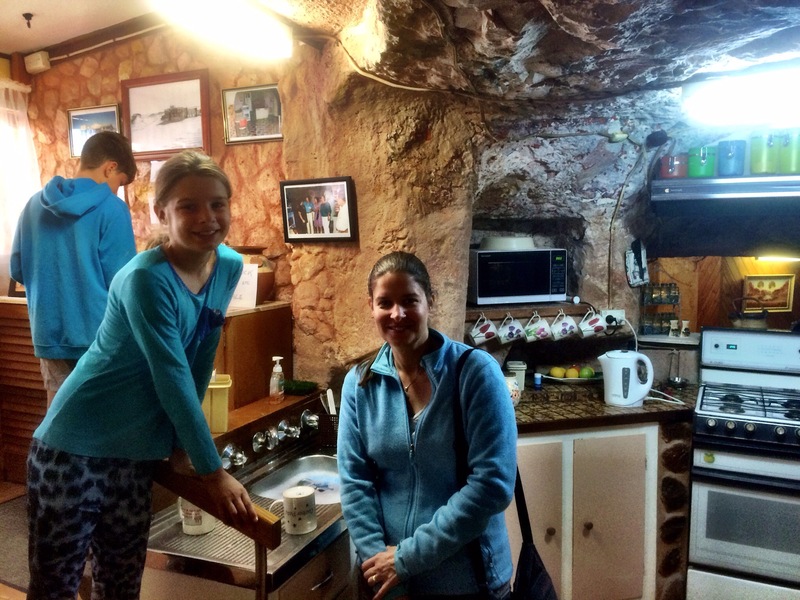 The thing about where we are staying is that you’re not allowed to cook underground so it forces everyone to use the camp kitchen and it becomes a very social thing. Amongst the group of people we meet is Colin, who recently retired as an NRL photographer. He took this photo for us. I figured he could take a nice shot. 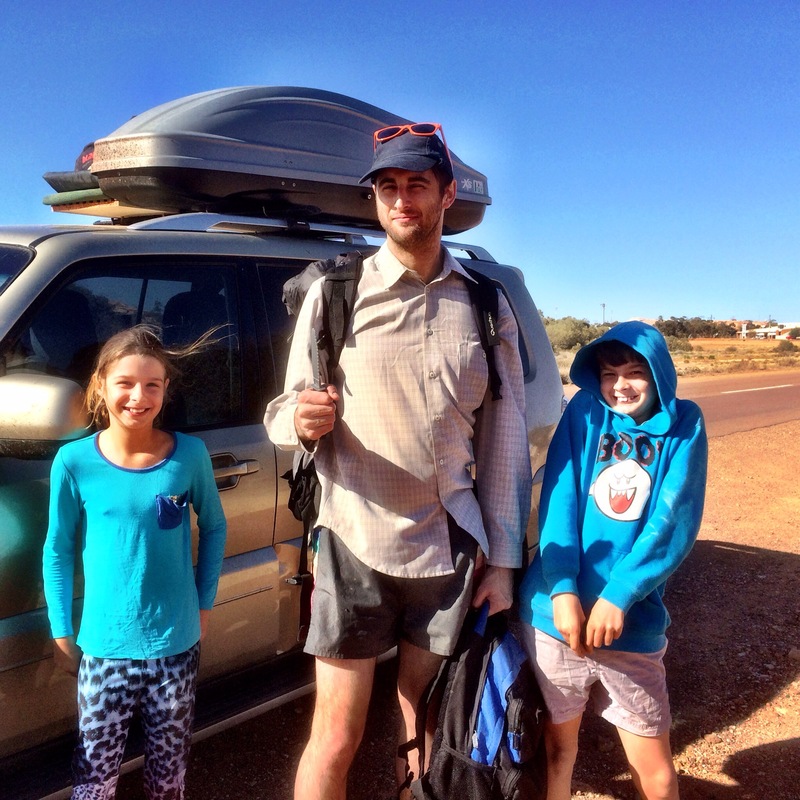 We also met Simon who’s from Melbourne and is hitch hiking around Australia for a few months. He’s packed in his copy editor job and is now traveling around, having an adventure and collecting stories for a book he’d like to put together. We’ve seen a few hitchhikers on this trip and the kids are always wanting us to pick them up. Simon becomes ‘our hitchhiker’ for the trip – all of 6km into town. Thanks for not killing us Simon. What can I say, our kids have a sense of humour. They want him to hold their toy knife for this photo, and he’s happy to obilige. 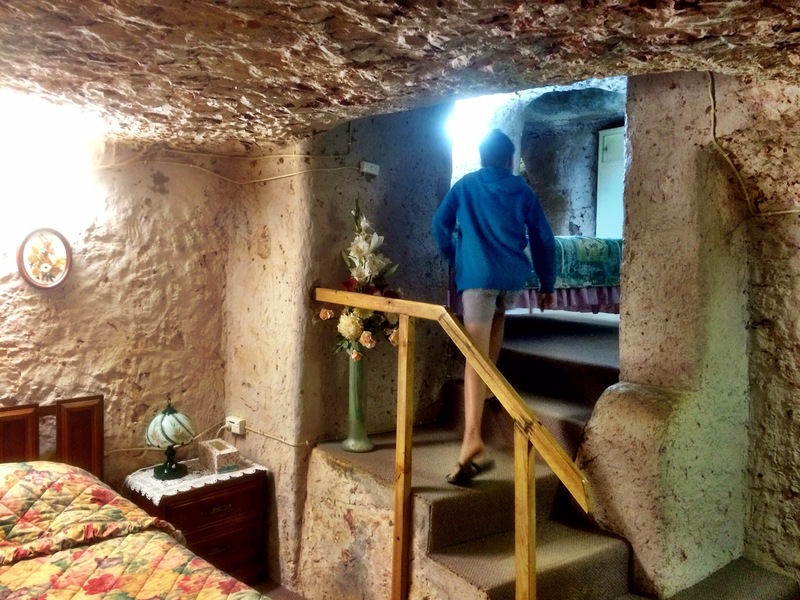 Before we leave town and head north we stop into ‘Faye’s House’ which is an underground house where someone lives and gives a tour. It’s very interesting. 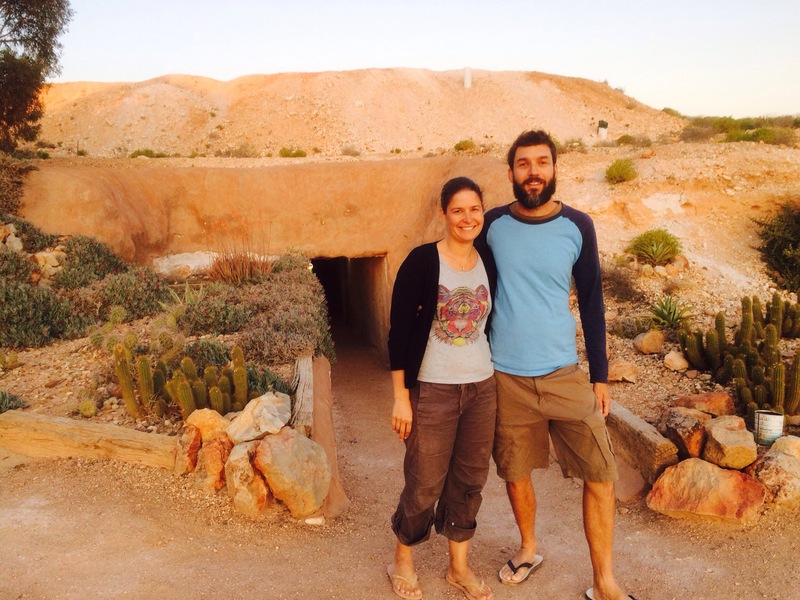 And imagine – 6 days a week, you open up your house to tourists so they can wander through your own bedroom, kitchen. etc, I guess it would force you to keep things tidy! 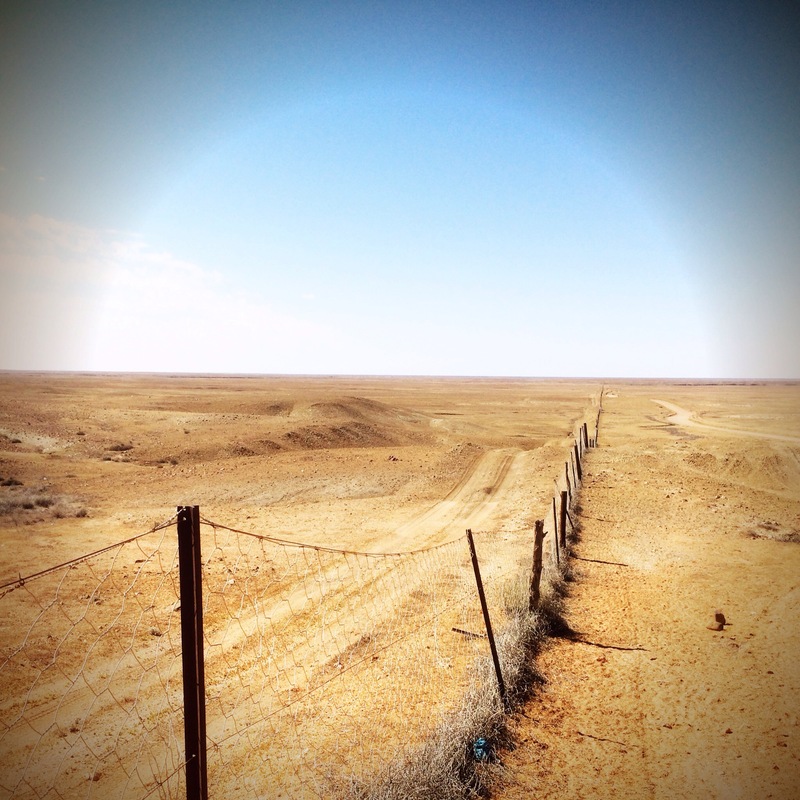 On the way out of town, we check out some local geological features called ‘The Breakaways’ and the Dog Proof Fence. Apparently it works very well in blocking the dingoes from heading south and attacking the sheep. So, was the snoring sound of “others” underground more the reverberating echo that meant you were waking yourself up 🙂 ? never. It was certainly others who were making the sounds in the tunnels. While it has been suggested on occasion I snore, I totally deny it and no evidence has been given to prove otherwise.